Seeing as we're getting into the habit of starting threads early. We've got the Champions League out of the way, we'll have wrapped up the World Cup so how are things going to look for the Premier League 2018/19 curtain raiser? Manchester City vs. Chelsea, two teams that will have their sights on a future Premier League crown. Who will win the opening game and the most prestigious shield in sporting memory? ha, as if you could run a prediction league. you don't run that . Who does then ballbag features? My name on the front door. I decide the rules and for being an argumentative spastic I am seriously considering giving you a grid-drop penalty for today's grand prix (in other words, you start behind @DeadLinesman who has no doubt forgotten to tip again). We hate the community shield. I fancy City to win 3 or 4-0. It really could be a proper rout. Think the loss of Hazard to Madrid after his brilliant World Cup hurt Chelsea, they just haven't got a suitable replacement in yet. I think bringing Shaun Wright-Phillips back on a free was desperate, they have got to be after someone better surely? And losing Kante to a season long injury was a massive blow. Judging by their pre season results, I'm still not convinced what they were thinking sacking Conte for Big Sam but we will see. The jury will be out on new signing, Ashley Barnes too after that hefty price tag. City look like they have got even better. Don't know where Mahrez will play now unless they do what they did the last two friendlies and take Ederson out for an extra outfield player. To be fair, it's worked well in the last two friendlies smashing PSG and Barcelona, who else would have dared tried that tactic bar Pep? And who do you start up front out of Aguero, Jesus and Mbappe? Can only see one winner. Every match between City & Chelsea I picture the Darth Vader/Obi Wan Kenobi faceoff. Although comparing Chelsea to Obi Wan is massively disrespectful to the Jedi master and wildly flattering to Chelsea. Maybe more like that dogshite son of Han Solo killing his Sith Lord master is a more apt analogy... but the Disney Star Wars films are an abomination and I don't want to acknowledge their existence. Depends who Chelsea get in. I've heard serious rumblings of a Ranieri return after his stint in France. Has this become a bit of a big game considering it's the start of Sarri's era? Not really. Sarri and Pep have a great relationship with one another. Read somewhere City will literally have to field their B team and youngsters given the amount of players that were at the world cup. Only United lost more Community Shields than us (won a lot more), we lost 8 out of 12 we played. Pathetic record, but it wouldn't bother me to lose it again. The serious stuff starts when the league starts. This never has been and never will be of any importance.. It's just a giant sausage roll plate.. 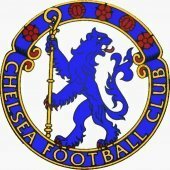 This is like the old mum and dads sports day event where you have a few laughs, people take a few tumbles and no-one really cares who won, it was the taking part that mattered..
With us leaving everything so late in the day and ( Sarri/Conte) and players still to be confirmed as staying or going ( Hazard/Court/Willian/Kante ) etc as well as those that might be inbound yet and with the World Cup only just finished I would think this will only be a fitness test /formation tweak for Sarri to see where he is at with what he has at his disposal but that depends on how many players he has when it kicks off..
Sarri's Chelsea probably will be nowhere near formed due to the fact his type of football is completely different to what those players have been used to. With Pep's team they all know the drill and are fully integrated into a style that's not too dissimilar to that which Maurizio Sarri wants his teams to play. What will be interesting is when both teams clash further on down the line in the Premier League. I think you should chop off your thumb cutting carrots.